Scottish sport needs to up its game or risk falling further down the sponsorship and performance pecking order even further, according to the organiser of Scotland’s first sports sponsorship conference. The Via Sponsorship conference will hold its inaugural event in Glasgow on the 5th and 6th of March 2019 and has already secured international experts in the field of sports sponsorship. 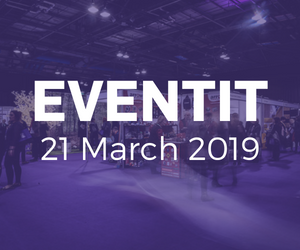 Set to take place at the University of Strathclyde, the event will welcome renowned sponsorship experts including Ardi Kolah, leading academic and author on the subject, Toby Hester, Director of the European Sponsorship Association, and Catherine Hawkins, Founder of Think! Sponsorship. 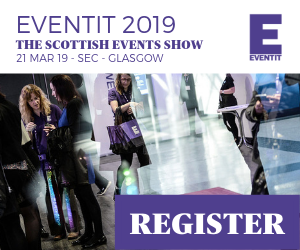 The Scottish element to the speaker programme will include Alan McLeish, Managing Director of QTS Group who will talk about the positive impact his business has gained from sponsoring sport and Robert Wicks, Commercial Director at Aberdeen Football Club who will discuss stadium sponsorship. Gordon Ritchie from Via Sponsorship said: “Scottish sport, in general, is missing out on more valuable and productive sponsorship partnerships with the commercial world because they don’t understand what the commercial world wants in return. Too often they ask for what is effectively a small donation instead of identifying something that has real accountable value to the prospective sponsor. If that can be done, and it can be, then there is a lot more value to be unlocked for both parties. “The Via Sponsorship conference is bringing some of the very best sponsorship experts in the world together in Scotland for the first time. They will talk about how business and sport can work together and create real value for both. This will be about learning how to get more from sponsorship, and creating a winning situation for both. “There is a real risk for Scottish sport that if it continues to scramble about for small token sponsorships then the performance levels of those athletes, in whatever sport, will continue to drop and Scottish sport will become a bit player in world sport. “If we look around the world at other countries who are successful at sport there is a link back to a successful commercial relationship. We don’t have to be talking about multi-million pound deals all the time but it must be providing a positive outcome for both and that’s where we need to step up in Scotland. “The public sector has a role in governing, promoting and funding sport at a grassroots level, and they do that well, but the private sector has so many benefits it can unleash without affecting the bottom line, except up the way.